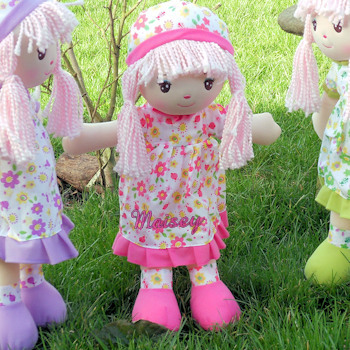 Personalised rag doll soft and cuddly in a pretty pink trim floral dress and bonnet hat. Personalised rag doll soft and cuddly in a pretty pink trim floral dress and bonnet hat. This sweet rag doll can be embroidered with a name of your choice on her dress. Large sized Dolly that stands at about 48cm tall. Personalised rag doll soft and cuddly in a pretty pink trim floral dress and bonnet hat. 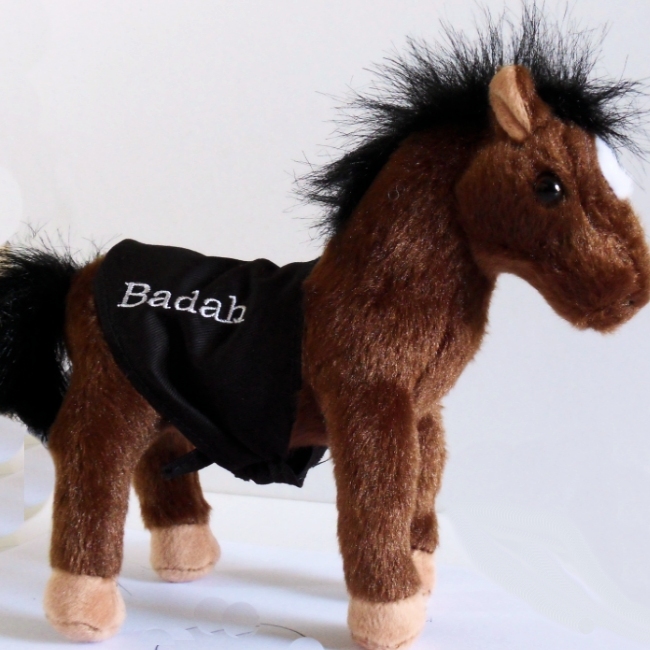 This sweet rag doll can be embroidered with a name of your choice on her dress. Large sized Dolly that stands at about 48cm tall. Suitable for all ages.